Researchers from the University of Texas Medical Branch at Galveston and the University of Kentucky have recently discovered the genetic differences that influence the levels of cholesterol in mid- and late-life. This study was supported by the National Institutes of Health (NIH). It is well documented that cholesterol levels rise as people pass from youth into their mid-life and, as a result, high levels of cholesterol are believed to be associated with higher risks of cardiovascular diseases. Less known, however, is the fact that cholesterol levels decline the more a person ages, beginning in their mid-life into old age. In the study, researchers analyzed data collected from the blood samples of more than 590 people from the Framingham Heart Study Original Cohort. 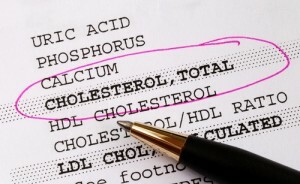 The APOE gene encodes proteins that play important roles in maintaining cholesterol levels. Each person has different variations, called alleles, of this gene,and an APOE gene made of two of these three alleles: APOE e2, APOE e3 and APOE e4. The APOE e2 allele is associated with decreased risk of aging-related diseases such as cardiovascular diseases, stroke, coronary heart disease and Alzheimer’s. Conversely, the APOE e4 allele is associated with higher risks of developing those same diseases. Furthermore, another unexpected finding suggests that higher cholesterol in elderly people may be associated with longevity. It was observed that adults that lived past the age of 90 had higher levels of total cholesterol during the late phase of their lives compared to those who did not live past 80 or 90 years of age. This fact may have major implications for the practice of continuing prescribing medications such as statins to lower cholesterol. Downer added: “The relationship between APOE, cholesterol and longevity is complex and it is important to continue conducting research in this area so that older adults know how to appropriately manage cholesterol levels during old age.” As a result of these findings, it can be argued that to prescribe drugs to lower cholesterol can be dangerous based on the fact that lower levels of cholesterol might be related with increased mortally. However, it is a rushed affirmation since further and thorough studies are required. “The findings from this study have important implications to public health. 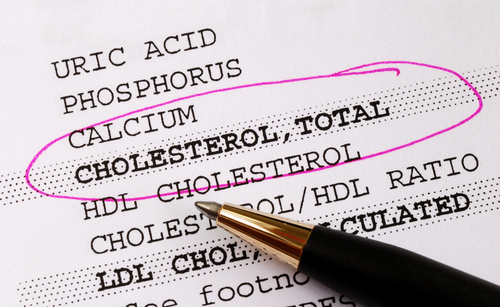 To efficiently modify cholesterol, and as a result, disease risk, it is important to consider how APOE allele status influences cholesterol levels from midlife through late life,” said Dr. Downer. Along with Brian Downer, the research team includes Yuriko Katsumata, Steven Estus and David Fardo from the University of Kentucky. Isaura Santos graduated with a BS in Cell and Molecular Biology from Universidade Nova de Lisboa and a MA in Communication, Culture and Information Technologies from University Institute of Lisbon (ISCTE-IUL). Her professional interests include science communication, public awareness of science and communication of science through entertainment.